The world is drying up all around us, but which crops can we use to shift the blame away from our cars, pools, and cartons of almond milk? Cast your eyes hard on these two culprits, right in your very own kitchen cabinet. Of course, part of the reason that the same few crops are using up the most resources is that we plant more of them than any almost other. 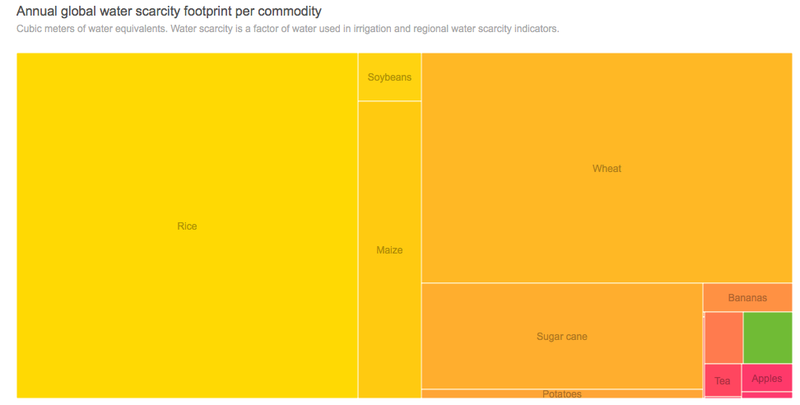 Corn, wheat, and rice aren’t just the crops that use up the most of the world’s resources, these are also the crops that feed most of the world. The answer, then, doesn’t lie in simply moving away from them; that would only increase world hunger. What we can do is change how we grow them by expanding the availability of drought-resistant crops and designing farms that use resources more efficiently. 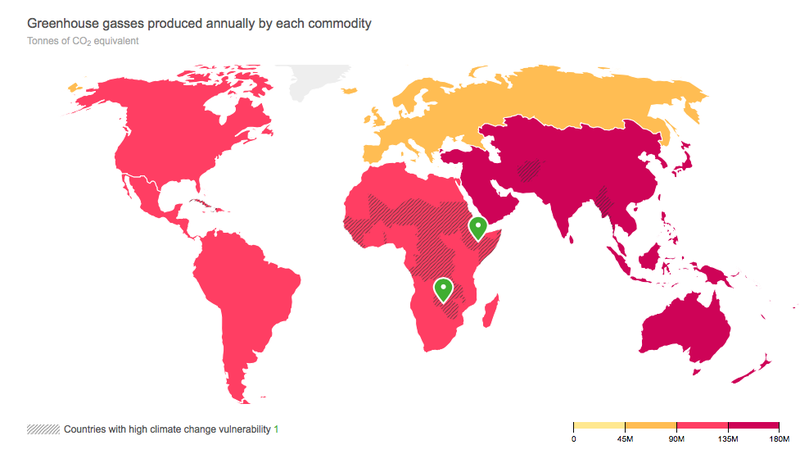 You can check which particular crops are hitting hardest in your own part of the world in Oxfam’s interactive chart right here.